An All-New Team Collaboration Experience. Stay connected with your colleagues and clients in real time. Stay Connected: Stay in touch with your team 24/7 from your computer, mobile or tablet. Share inspiration, knowledge and feedback. 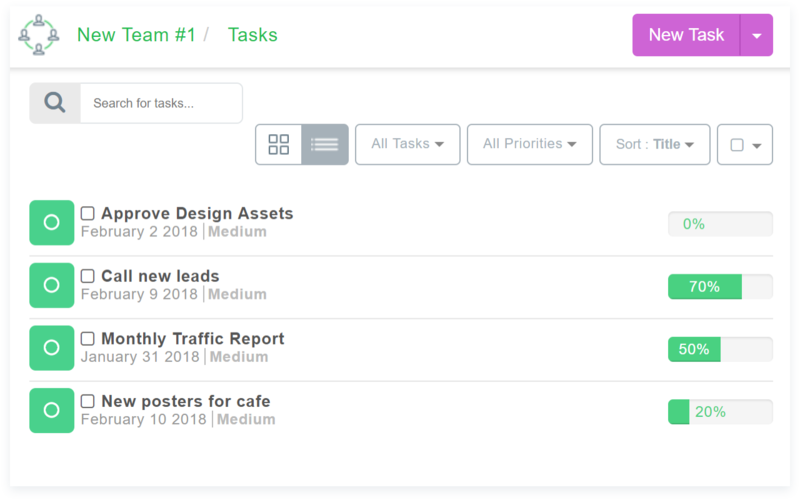 Shared Tasks, Calendars and Files: You don't need a fancy IT person to consolidate all of your team's tasks, calendar events and shared files. 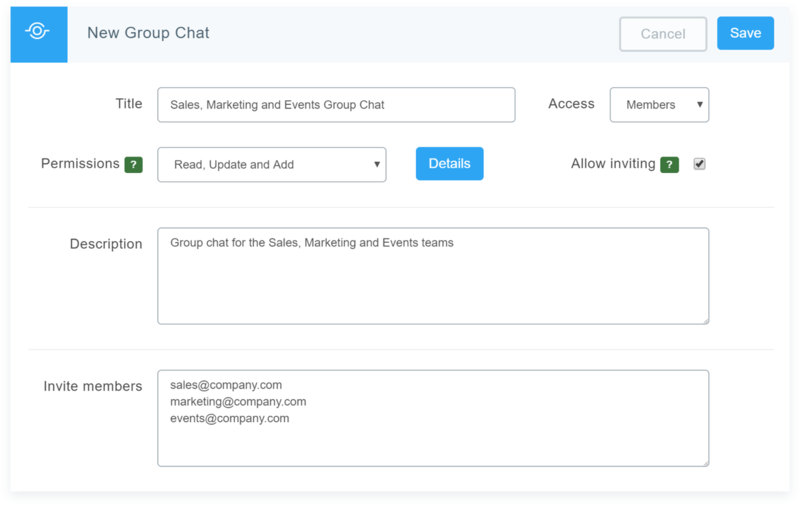 Create Groups or Message Directly: No more flip-flopping between email and chat. Select a group, department or other custom team from the menu. Or, send an instant message directly to one of your teammates. (Coming Soon) Audio and Video Conferencing: Team Up in real time with high-quality screensharing, audio and video conferencing available whenever you need it, right from your TeamUp screen. Break down the barriers of space and time by getting everyone on your team - or even key clients and vendors - all on the same page. Post, comment, discuss, and search with ease. Say goodbye to long email threads, phone tag, and lags in communication. Everyone can be in on the conversation, so answers no longer stay hidden behind cubicle walls. You’ve got the flexibility to talk to the entire team, a custom group of team members, or one-to-one via direct message. Quickly create and manage tasks and due dates for everyone on your team (or delegate and allow others to create them). 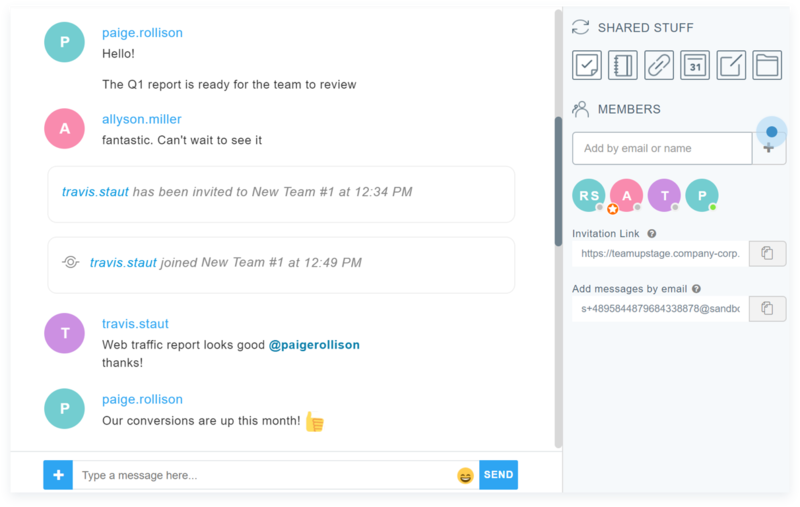 Tackle any questions or updates right in your TeamUp console via group or direct messages. Get Everyone On the Same Page. Literally. You’re invited to join TeamUp, available free to Company.com members. 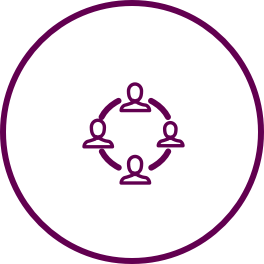 Team Collaboration products and associated services are provided by Company.com and its affiliated service entities and policy issuing service companies. Team Collaboration products and services are not provided by Office Depot, Inc. or its affiliates and Office Depot is not responsible for materials regarding insurance products, the content of materials provided by Company.com, or any of the products, services or advice offered by Company.com. Office Depot may receive an affinity fee from Company.com if you use this portal to access a Team Collaborate site. Rates, terms, and availability of service is based on underwriting criteria and other considerations as set by Company.com. Policies may not be available in all states. Pricing, terms, and product offerings are subject to change, extension, or withdrawal without notice.